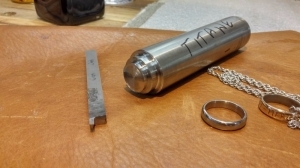 Homemade titanium ring tool constructed from carbide. Christophe, i must say your work is always a pleasure to see. Thanks for pushing the envelope, and for sharing that with the rest of us.